You have bought your ticket for NEXT13, booked flights and accommodation. Perfect! Now you are only one step away to be completely prepared for the agenda setting conference for future business trends! NEXT13 is a great place to network with digital thought leaders and influencers, business partners and creative minds. So don’t forget to download Bizzabo, the mobile networking app for NEXT Berlin 2013! You can browse through the whole NEXT programme, see offers from sponsors and start connecting with other attendees. Download Bizzabo for iPhone or Android at www.bizzabo.com/download - and search for: NEXT Berlin 2013, then click 'Join' or just use this direct link. 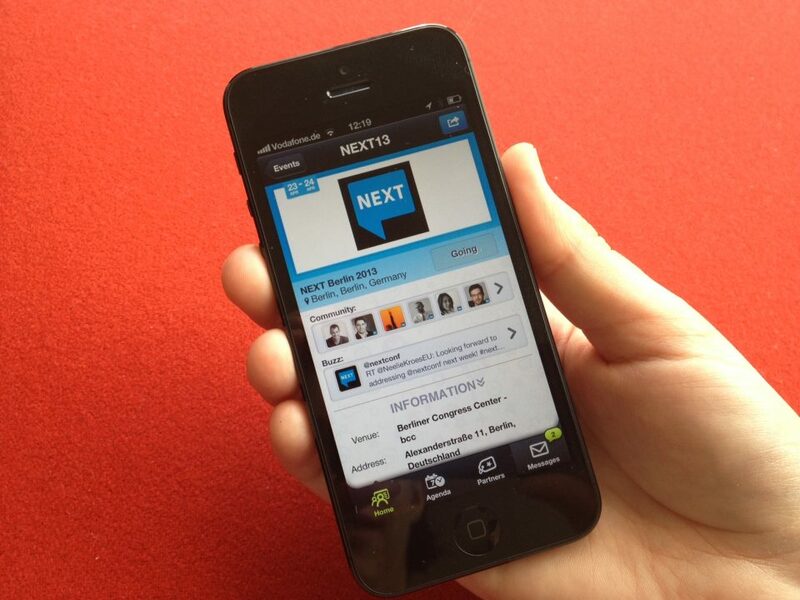 If you have any problems with the app, don’t hesitate to contact us via mail or on Twitter @nextconf or using #next13.